Collision damage waiver (CDW) is an optional damage insurance cover that is available when you rent a vehicle, which greatly reduces your financial liability in the event of an accident. Terms and Conditions apply. 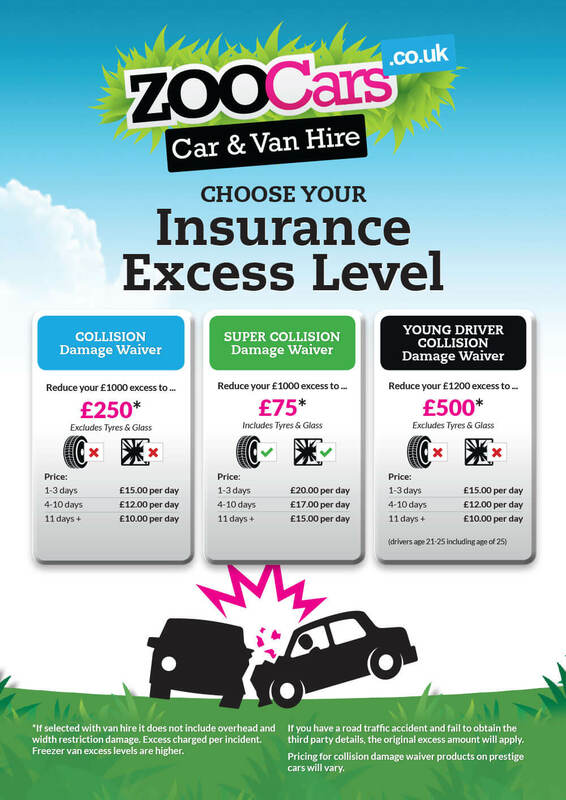 If selected with van hire it does not include overhead and width restriction damage. Excess charged per incident. Freezer van excess levels are higher. If you have a road traffic accident and fail to obtain the third party details, the original excess amount will apply. Pricing for collision damage waiver products on prestige cars will vary.